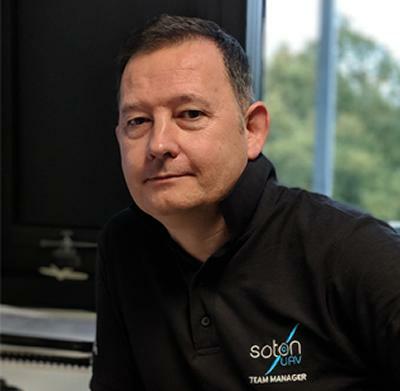 Dr Stephen D Prior is a Reader in Unmanned Air Vehicles within the Faculty of Engineering and Physical Sciences at the University of Southampton. Dr Prior gained a BEng Mechanical Engineering degree in 1987 and a PhD in Robotics from Middlesex University, London in 1993. He is a Chartered Mechanical Engineer, Corporate Member of the IMechE and Fellow of the Higher Education Academy. His research interests are in the areas of Aeronautics, Autonomous Unmanned Systems, Robotics and Design Engineering. He was Project Lead for the MoD Grand Challenge i-Spy team in 2008 and was the Team Leader for Team HALO, winner of the DARPA UAVForge Competition 2012. He has been an editor for the International Journal of Micro Air Vehicles since 2010 and Unmanned System Journal since 2013. He is also a non-executive director of Tethered Drone Systems Ltd.
2nd & 3rd Place Overall. Awards for Payload Delivery and Navigation Authority. Runner-Up Prize £600 sponsored by Kier Utilities. 2nd, 3rd & 4th Place Overall. Awards for Innovation, Autonomous Operations and Safety & Airworthiness. This award acknowledges an outstanding contribution to education at the University of Southampton. I am currently supervising three PhD students involving novel aspects of Unmanned Aerial Vehicles (UAVs), now referred to as Remotely Piloted Aircraft Systems (RPAS) or Drones. Odedra investigated novel UGV wheel mechanisms, Erbil investigated reconfigurable landing mechanisms for novel perch and stare applications in an urban environment, and Chang investigated GPS-Denied environments for small UAVs. Brazinskas is investigating efficient propulsion systems and Mielniczek is researching into novel Coanda vehicle design involving morphing strategies for small UAS. My two latest PhD students Guo and Abioye are investigating control and communication strategies for small unmanned aircraft operating in BLOS operations and with novel interfaces. Our vision is that of a city where infrastructure is autonomously maintained and dynamically responsive, focused on: securing the health & wellbeing of its citizens; contributing to flourishing and sustainable natural systems in the city; and creating positive economic and societal outlooks. Defence Industries UTC liaison officer and board member for the University. Prior, S. (2018). What does the future hold for drones in security and defence? Government Europa Quarterly, Oct 2018(27), 1-4. Prior, S. (2016). Amazon to test drones in UK after rules lifted. Sky News. Prior, S. (2016). Tethered drone could fly 'forever'. Reuters. Liu, C., Nash, J., & Prior, S. (2015). A low-cost vision-based unmanned aerial system for extremely low-light GPS-denied navigation and thermal imaging. International Journal of Mechanical, Aerospace, Industrial, Mechatronic and Manufacturing Engineering, 9(10), 1750-1757. Prior, S. D. (Accepted/In press). Fly your mushroom with pride. SUAS Newsletter. Prior, S. D. (Accepted/In press). 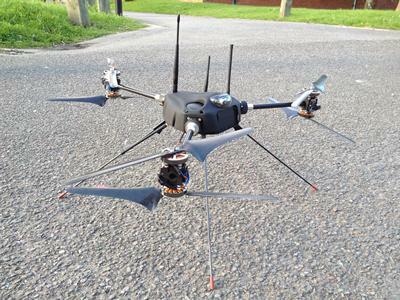 Tethered drones for persistent aerial surveillance applications. Defence Global, August, 78-79. Prior, S. D. (2014). The uses and abuses of personal UAS. Defence Procurement International, Summer 2014, 174-176. 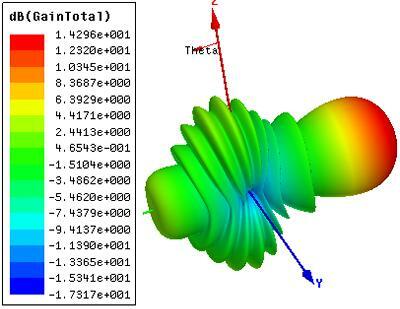 Prior, S. D., Erbil, M. A., Brazinskas, M., Mielniczek, W., & Warwick, G. (2013). Darpa challenges aim to tap broad ideas pool. Aviation Week & Space Technology. Prior, S. D., Bennett, M., & MADE (2013). Game of drones. MADE Magazine, 13(1), 8. Prior, S. D. (2013). Small remotely piloted aircraft systems. Defence Global, August, 65-66. Prior, S. D., & Excell, J. (Ed.) (2013). The rise of the Micro Air Vehicle. The Engineer. Prior, S., Erbil, M. A., & Harris, S. (2012). Drone of your own: low-cost UAVs take to the skies. The Engineer. Technology and Innovation Awards 2008. Prior, S. D., Odedra, S., & Erbil, M. A. (2011). Autonomous systems laboratory [web site]. Autonomous systems laboratory. Prior, S. D., Erbil, M. A., Brazinskas, M., & Mielniczek, W. (2011). Click explores defence technology, from vanishing tanks to airborne spy bots. BBC News Click. Prior, S. D., & Bell, J. (2011). Empirical measurements of small unmanned aerial vehicle co-axial rotor systems. Journal of Science and Innovation, 1(1), 1-18. Shen, S-T., & Prior, S. D. (2011). Revisiting revisitation in computer interaction: organic bookmark management. Design Principles and Practices, 5(4). Prior, S. D. (2009). A singularity in the skies. Defence Management Journal, 46, 95-96. Shen, S-T., Prior, S. D., Chen, K-M., & Fang, T-H. (2009). Chinese users’ preference for web browser icons. Design Principles and Practices, 3(1). Siu-Tsen, S., Prior, S. D., & Chen, K-M. (2009). Comparing the perspicacity, appropriateness and preference of web browser icons with Chinese users. Digital Creativity, 20(1-2), 59-78. White, A. S., Shen, S-T., & Prior, S. D. (2008). Including design in e-manufacturing. International Journal of Electronic Business Management, 6(2), 99-105. Prior, S. D. (2008). The MoD grand challenge 2008. Defence Management Journal, 42, 22-23. Shen, S-T., Prior, S. D., White, A. S., & Karamanoglu, M. (2007). Using personality type differences to form engineering design teams. Engineering Education, 2(2), 54-66. Metrolho, J. C., Prior, S. D., & Carlos Nunes, S. (2005). Strategies to improve engineering students' knowledge of emerging technologies. Journal of Advanced Technology in Automation, Control and Instrumentation, 1(2), 66-68. Parsons, B., White, A. S., Prior, S. D., & Warner, P. (2005). The Middlesex University rehabilitation robot. Journal of Medical Engineering & Technology, 29(4). Prior, S. (2018). 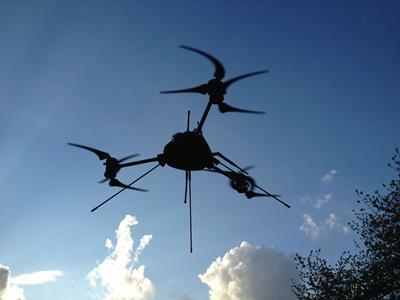 Optimizing small multi-rotor unmanned aircraft: a practical design guide. (1 ed.) London: Taylor & Francis (CRC). Meen, T-H., Prior, S. D., & Lam, A. D. K-T. (Eds.) (2013). Innovation, Communication and Engineering. London, GB: CRC Press/Balkema : Taylor & Francis Group. Prior, S. D., Barlow, C., Lewis, D., & Erbil, M. A. (2009). S.I. Units (revision) playing cards: units, symbols, quantities, equations & abbreviations in science, technology, engineering & maths. Leiden, NL: Technology Education Teaching Resources Centre. Prior, S. D., & Shen, S-T. (2006). Placing culture at the centre of design. In P. Rodgers, L. Brodhurst, & D. Hepburn (Eds. ), Crossing Design Boundaries (pp. 65-69). London, GB: Taylor & Francis. Prior, S. D., & Shen, S-T. (2005). Successful grouping strategies and psychometric profiling in product design education. In 2005IDC New Design Paradigms: Abstracts of the International Design Congress: International Design Congress-IASDR 2005 (pp. 1-9). Yunlin, Taiwan: National Yunlin University of Science and Technology. Alan, A. T., Liu, C., Salisbury, E., Prior, S. D., Ramchurn, S. D., Wu, F., ... Rees, G. (2018). Human-uav teaming In dynamic and uncertain environments. In 17th International Conference on Autonomous Agents and Multiagent Systems, AAMAS 2018 (Vol. 3, pp. 1791-1793). International Foundation for Autonomous Agents and Multiagent Systems (IFAAMAS). Abioye, A. O., Prior, S., Thomas, T., Saddington, P., & Ramchurn, S. (2017). A practical mSVG interaction method for patrol, search, and rescue aerobots. Abstract from UK-RAS Conference on 'Robotics and Autonomous Systems' (RAS 2017), Bristol, United Kingdom. Abioye, A. O., Prior, S., Thomas, T., Saddington, P., & Ramchurn, S. (2017). A practical mSVG interaction method for patrol, search, and rescue aerobots. Poster session presented at UK-RAS Conference on 'Robotics and Autonomous Systems' (RAS 2017), Bristol, United Kingdom. Liu, C., Paget, L., Turner, P., & Prior, S. (2017). Autonomous perching and installation of small devices on a street lamp. In Robots for Resilient Infrastructure: an International Robotics Challenge Event Leeds, UK. Liu, C., Paget, L., Turner, P., Erbil, M. A., & Prior, S. (2017). Autonomous Unmanned Aerial Vehicle perching and manipulation on a street lamppost. Paper presented at 8th International Advanced Robotics Program IARP-RISE’2017 on Risky Interventions and Environmental SurveillancE, Charleroi, Belize. Prior, S. (2016). From the world's first 3D printed autonomous aircraft to paper UAVs and systems that enable commercial UAV operations.. Farnborough International Airshow 2016 - Innovation Zone, Farnborough, United Kingdom. Prior, S. (2016). IMechE UAS Challenge 2016. The Unmanned Aircraft Systems Challenge, United Kingdom. Abioye, A., Prior, S., Thomas, T., & Saddington, P. (2016). The multimodal edge of human aerobotic interaction. 243-248. Paper presented at IHCI: International Conferences Interfaces and Human Computer Interaction 2016, . Liu, C., & Prior, S. (2015). A low-cost vision-based unmanned aerial system for extremely low-light GPS-denied navigation and thermal imaging. 1639-1647. Paper presented at ICIUS 2015: International Conference on Intelligent Unmanned Systems, United Kingdom. Guo, Y., & Prior, S. (2015). A review of autonomous docking technologies for an unmanned aircraft carrier. Paper presented at 2015 International Conference on Innovation, Communication and Engineering, China. Abioye, A. O., Prior, S., & Thomas, T. (2015). Aerial robot control interfaces. Poster session presented at UK Drone Show 2015, Birmingham, United Kingdom. Prior, S. D. (2015). AETHER - Persistent aerial surveillance using a small unmanned aircraft system. 15th Annual Conference on Unmanned Aerial Systems, United Kingdom. Liu, C., & Prior, S. (2015). Computationally efficient visual-inertial sensor fusion for GPS-denied navigation on a small quadrotor. Paper presented at 2015 International Conference on Innovation, Communication and Engineering, China. Liu, C., & Prior, S. D. (2015). Design and implementation of an open source small quadcopter for GPS-denied environments. Next Gen Drones 2015, United States. Prior, S. (2015). EPSRC UK RAS Network Presentation. TAROS 2015: 16th Towards Autonomous Robotic Systems, United Kingdom. Shen, S-T., & Prior, S. D. (2015). Forming and shaping creative design teams in an engineering education context. 560-1. Paper presented at 2015 International Business & Education Conferences, United Kingdom. Prior, S. D. (2015). Persistent aerial surveillance using a small unmanned aircraft. SkyTech 2015, United Kingdom. Prior, S. D. (2015). Remotely piloted aircraft development and applications. One-day Marine Autonomous and Robotic Systems (MARS) showcase for NERC and public sector partners, United Kingdom. Prior, S. D., & Gibson, J. (2014). Applications of tethered UAVs. UAS2014, . Perrett, J., & Prior, S. D. (2014). Developing sense and avoid (SSA) capability for small unmanned aircraft. RPAS Today - Opportunities and Challenges, United Kingdom. Guo, Y., & Prior, S. D. (2014). Development of an active gimbal system for a directional antenna on a small RPA. RPAS Today - Opportunities and Challenges, United Kingdom. Prior, S. D. (2014). Energy conservation techniques: increasing the endurance of small UAVs. The Third International Conference on Innovation Communication and Engineering, China. Prior, S. D. (2014). Energy conservation techniques: increasing the endurance of small UAVs. The 2014 Taiwan Energy Association Annual Meeting & EV Workshop, Taiwan. Inthasuwan, V., Prior, S. D., & Collins, R. (2013). An optimization study of Coandã wall jet phenomena. Paper presented at 2013 International Conference on Innovation, Communication, and Engineering, China. Prior, S. D., Erbil, M. A., Brazinskas, M., & Mielniczek, W. (2013). Antenna Live: FlyBot. Antenna Live: FlyBot @ The Science Museum, United Kingdom. Guo, Y., & Prior, S. D. (2013). Development of active directional antennae for use in small UAVs. Paper presented at 2013 International Conference on Innovation, Communication, and Engineering, China. Prior, S. D. (2013). Finding applications for small flying vehicles. Invited Research Speaker - National University of Tainan, Taiwan. Prior, S. D. (2013). Investigating novel applications for small unmanned aerial vehicles. Scientific Seminar, France. Mielniczek, W., Prior, S. D., Erbil, M. A., & Brazinskas, M. (2013). Investigating novel applications of the coanda effect for small morphing unmanned aircraft. Paper presented at 2013 Internatiomal Conference on Innovation, Communication, and Engineering, China. Shen, S-T., & Prior, S. D. (2013). Investigating performance and preference for novel 2D and 3D bookmark user interfaces. Paper presented at 2013 International Conference on Innovation, Communication and Engineering, China. Prior, S. D. (2013). UAS developments at the University of Southampton. Unmanned Systems Market Outlook Symposium, United Kingdom. Prior, S. D. (2012). Building next generation small unmanned air vehicles. International Conference on Information, Communication and Engineering, China. Prior, S. D. (2012). Designing next generation small unmanned aerial systems - UAVForge 2012. Invited Departmental Research Presentation, Taiwan. Prior, S. D. (2012). Introducing the HALO small unmanned aerial vehicle. SMi - Military Robotics Conference, United Kingdom. Prior, S. D. (2012). Team HALO - DARPA UAVForge 2012. Radio Society of Great Britain 2012 Convention, United Kingdom. Shen, S-T., & Prior, S. D. (2012). The utility of controlled vocabularies within bookmark management tasks. 90-94. Paper presented at Fifth International Conference on Advances in Computer - Human Interactions, Spain. Prior, S. D., Erbil, M. A., Brazinskas, M., & Mielniczek, W. (2011). Demonstration of the SQ-4 UAV. Defence & Security Equipment International 2011, . Erbil, M. A., Prior, S. D., Karamanoglu, M., Odedra, S., Barlow, C., & Bell, J. (2011). Design and development of a pole climbing surveillance robot. Paper presented at 2011 New Zealand Rapid Product Development Conference, New Zealand. Prior, S. D., & Shen, S-T. (2011). Developing creativity in design and engineering. Paper presented at 2011 TERA International Conference on Education, Taiwan. Prior, S. D. (2011). Developments in nano unmanned aerial systems. Paper presented at The First International Conference on Engineering and Technology Innovation 2011 (ICETI2011), Taiwan. Barlow, C., Lewis, D., Bell, J., Irps, T., Prior, S. D., & Erbil, M. A. (2010). Developing a low-cost beer dispensing robotic system for the service industry. Paper presented at 25th International Conference on CAD/CAM, Robotics and Factories of the Future, South Africa. Irps, T., Prior, S., Lewis, D., Mielniczek, W., Brazinskas, M., Barlow, C., & Karamanoglu, M. (2010). Development of a low-cost SLAM radar for applications in robotics. Paper presented at International Conference on Manufacturing Engineering Systems, Taiwan. Bell, J., Brazinskas, M., Prior, S. D., Barlow, C. (Ed. ), Erbil, M. A., & Karamanoglu, M. (2010). Development of a test-rig for exploring optimal conditions of small unmanned aerial vehicle co-axial rotor systems. Paper presented at International Conference on Manufacturing Engineering Systems, Taiwan. Barlow, C., Prior, S. D., Erbil, M. A., Lewis, D., Brazinskas, M., Mielniczek, W., ... Karamanoglu, M. (2010). Investigating the use of unmanned plant machinery on construction sites. Paper presented at International Conference on Manufacturing Engineering Systems, Taiwan. Shen, S-T., Prior, S. D., & Chen, K-M. (2010). I-pot: a new approach utilising visual and contextual cues to support users in graphical web browser revisitation. In MCCSIS 2010: IADIS Multi Conference on Computer Science and Information Systems: Proceedings of the IADIS International Conferences (pp. 417-424). International Conference Interfaces and Human Computer Interaction. White, A. S., Prior, S. D., Censlive, M., & Karamanoglu, M. (2010). Optimising cash flows in APVIOBPCS using control theory. Paper presented at International Conference on Manufacturing Engineering Systems, Taiwan. Erbil, M. A., Prior, S. D., Odedra, S., Karamanoglu, M., & Shen, S-T. (2009). Development of a climbing robot platform to provide temporary surveillance in urban environments. Paper presented at HCI International Conference, United States. Prior, S. D., Karamanoglu, M., Odedra, S., Foran, T., & Erbil, M. A. (2009). Development of a co-axial tri-rotor UAV. In Proceedings of 24th International Unmanned Aerial Vehicle Systems Conference Bristol, GB: University of Bristol. Odedra, S., Prior, S. D., Karamanoglu, M., & Shen, S-T. (2009). Increasing the trafficability of unmanned ground vehicles through intelligent morphing. In Reconfigurable Mechanisms and Robots (ReMAR) (pp. 665-672). London, GB: King's College. Odedra, S., Prior, S. D., & Karamanoglu, M. (2009). 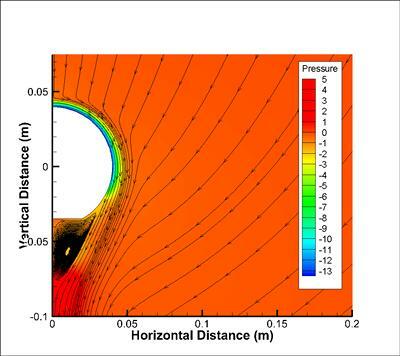 Investigating the mobility of unmanned ground vehicles. Paper presented at International Conference on Manufacturing and Engineering Systems, Taiwan. Barlow, C., Lewis, D., Prior, S. D., Odedra, S., Erbil, M. A., Karamanoglu, M., & Collins, R. (2009). Investigating the use of the Coanda Effect to create novel unmanned aerial vehicles. 386-391. Paper presented at International Conference on Manufacturing and Engineering Systems. Proceedings, Taiwan. Erbil, M. A., Prior, S. D., Karamanoglu, M., Odedra, S., Barlow, C., & Lewis, D. (2009). Reconfigurable unmanned aerial vehicles. Paper presented at International Conference on Manufacturing and Engineering Systems, Taiwan. Prior, S. D., Shen, S-T., Karamanoglu, M., Odedra, S., Erbil, M. A., & Barlow, C. (2009). The future of battlefield micro air vehicle systems. Paper presented at International Conference on Manufacturing and Engineering Systems, Taiwan. Prior, S. D., Karamanoglu, M., & Bradley, M. D. (2008). Blending arts and sciences: gimmick or necessity? In Proceedings of the Higher Education Academy International Conference on Innovation, Good Practice and Research in Engineering Education Conference Loughborough, GB: Higher Education Academy, Engineering Subject Centre. Prior, S. D., Shen, S-T., White, A. S., & Karamanoglu, M. (2007). Comparing the personality type of design students in the UK and Taiwan. Paper presented at Ergonomics and Health Aspects of Work with Computers: International Conference, EHAWC 2007, China. Karamanoglu, M., Bardill, A., & Prior, S. D. (2007). Product design as a vehicle to integrate arts and sciences in design education. In Proceedings of the International Association Of Societies Of Design Research, Emerging Trends in Design Research International Association Of Societies Of Design Research. Prior, S. D., Karamanoglu, M., & Shen, S-T. (2007). The problems with design education in the UK. In IASDR07 Proceedings: Emerging Trends in Design Research Hong Kong Polytechnic University. Prior, S. D., Bradley, M. D., & Shen, S-T. (2006). Selecting and forming design teams. In International Design Research '06 : Proceedings of International Design Research Symposium (pp. 109-114). Seoul, KR: Korean Society of Mechanical Engineers. Prior, S. D., & Shen, S-T. (2005). Designing culture-centred interfaces: the implementation of CCD methodology. In 2005 IDC New Design Paradigms: Abstracts of the International Design Congress (pp. 1-8). Yunlin, Taiwan: National Yunlin University of Science and Technology. Prior, S. D., & Dowlen, C. (2005). Developing authenticity in team-based design projects. In P. Rodgers, L. Brodhurst, & D. Hepburn (Eds. ), Crossing Design Boundaries (pp. 225-230). London, GB: Routledge. Prior, S. D., Bardill, A., Odedra, S., Gaspar, T., Rodriguez, H., Costa, M., ... Couto, C. (2005). Development of mobile platforms using PDA bluetooth control. In Proceedings of the IEEE International Symposium on Industrial Electronics, 2005 (ISIE 2005) (pp. 1353-1358). Institute of Electrical and Electronics Engineers. Prior, S. D., Metrolho, J. C., & Silva, C. N. (2005). Strategies to improve engineering student's knowledge of emerging technologies. In Innovation, Technology and Research: IADAT-ACI2005: Proceedings of the IADAT International Conference on Automation, Control and Instrumentation (pp. 180-184). Bilbao, ES: International Association for the Development of Advances in Technology. Prior, S. D., & Shen, S-T. (2005). Towards culture-centred design: a metaphor in human computer interaction. In Proceedings of the HCI International 2005 and its Affiliated Conferences Mahwah, US: Lawrence Earlbaum Associates. Prior, S. D., Bardill, A., Odedra, S., Gaspar, T., Rodrigues, H., Costa, M., & Metrolho, J. C. (2004). Domotic applications using PDA technologies as actors. Poster session presented at Technical Workshop of the Forum CYTED-IBEROEKA: Inovação na Região Ibero-Americana, Portugal. Prior, S. D., White, A. S., Gill, R., & Singh, M. (2001). A CORBA paradigm for open approach to mechatronic systems. In Robotics and Applications : Proceedings of the IASTED International Conference (pp. 49-54). Calgary, CA: ACTA Press. Prior, S. D., White, A. S., Gill, R. S., & Singh, M. (2001). Advent of generic components in a mechatronic control software environment. In Proceedings of the WSES International Conference on Robotics, Distance Learning and Intelligent Communication Systems (RODLICS 2001) World Scientific and Engineering Academy and Society. Prior, S. D., White, A. S., Gill, R., & Singh, M. (2001). Development of IMS tools for mechatronic systems. In Advances in Manufacturing Technology XV : Proceedings of the Seventeenth National Conference on Manufacturing Research (pp. 87-92). Bury Saint Edmunds, GB: Professional Engineering. Prior, S. D., White, A. S., Gill, R., Parsons, J. T., & Warner, P. R. (1993). A novel pneumatic actuator. In Proceedings of IEEE International Conference on Systems, Man and Cybernetics (pp. 418-422). New York, US: Institute of Electrical and Electronics Engineers. Prior, S. D., & Warner, P. R. (1991). The 'Flexator' as a robotic actuator. In Proceedings of IEE Colloquium on Robot Actuators (pp. 5/1-5/4). London, GB: Institute of Electrical and Electronics Engineers. Prior, S. D., & Warner, P. R. (1990). A review of world rehabilitation robotics research. In Proceedings of IEE Colloquium on High-Tech Help for the Handicapped (pp. 1/1-1/3). London, GB: Institution of Electrical Engineers. Prior, S. D. (Author), & Erbil, M. A. (Author). (2014). Isle of Wight UAV crossing. Interview with Stephen Prior and Mehmet Erbil. Digital or Visual Products, BBC South Today. Prior, S. D. (Author), & Scanlan, J. (Author). (2013). Civilian drones. Digital or Visual Products, BBC Radio 4. Prior, S. D. (Author), & Iqbal, R. (Author). (2013). Interview about the Amazon drones delivery service. Digital or Visual Products, BBC World Service. Prior, S. D. (Author), & Erbil, M. A. (Author). (2012). BBC Radio 4 PM Programme - The Future Battlefield - Nano UAVs. Digital or Visual Products, BBC Radio 4.